Born at Lanark County, Ontario on 16 September 1844, a son of Scottish immigrants Thomas Thompson and Grace Schuyler, he was educated at the Lanark county public schools. He left school at the age of 17 and, after a short period farming with his father, he worked at the London Publishing Company to 1863. Then, he ran a book and stationery business in Toronto until 1875 when, in poor health, he sold it and spent several years living on the shores of Georgian Bay hunting. In 1879, having regained his health, he came to Emerson, from there traveling west to take up a homestead at Rock Lake near Pilot Mound, on the banks of the Pembina River. In addition to farming, he worked at ferrying settlers across the river in his canoe. In January 1881, he married Isabella Butchart (?-? ), daughter of William Butchart, with whom he had four children: Ernest W. Thompson, a traveling salesman for the Hudson’s Bay Knitting Company; Thomas Garnet Thompson, who ran a hardware business at Hamiota; Robert Harold Thompson, who worked with his father; and Helen Thompson. Thompson served as one of the first Justices of the Peace in the area, and helped to organize the Rural Municipality of Louise, eventually becoming its Reeve. 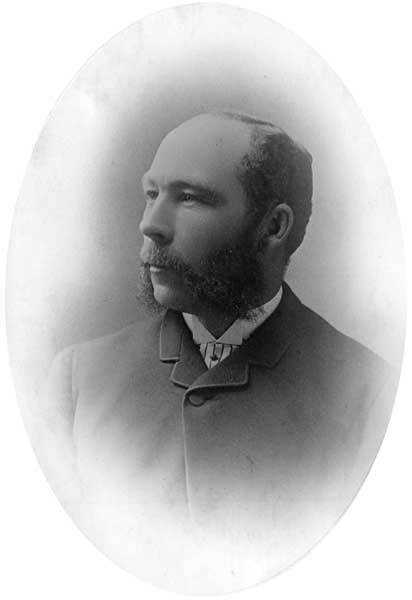 In 1886, he was elected to the Manitoba Legislature for the Cypress constituency, serving for two years before being defeated in the 1888 general election. He then moved to Glenboro where he engaged in the lumber, furniture and agricultural implement business until 1897. The following year, he represented the Westminster Publishing Company, from Manitoba to the Pacific coast. From 1899 to 1904 he represented the London & Lancashire Life Insurance Company as an inspector of Manitoba agencies. Then, in 1904, he established a real estate and financial agency at Brandon and became President and Managing Director of the Edrans Brandon Pressed Brick Company. He retired to Victoria, British Columbia where he died on 28 May 1930.